shpg22 This company is a disaster waiting to happen. Same like MFLOUR. foreverchung Data flow from system, that's why you see the input figure is not accurate. 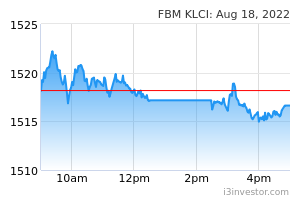 KLCI King We knew what happened in Mflour, but what on earth this relates to Cypark? KLCI King Ha, otak jatuh di longkang lupa ambil keh? PotentialGhost Not a good sign , director dispossed very much. kenneths Clean engnery got prospect. See Tadmax...already up, Cypark is matter of time. Still keep it tight. Kengor cypark is ready to sky rocketing. Why did solar industry die the moment no more FIT was announced? Why is no one taking up the net energy metering on the industrial side? If "green" energy is sustainable, why did FIT in Thailand and many other countries fall apart? Why did Sarawak not participate in feed in tariff? Why does SolarCity and many solar companies keep going bankrupt? Why did the biomass industry in Sabah and Sarawak for the moment people realized there was value in fruit bunches? And the main one, is cypark business sustainable if the government stopped supporting the seda programs today? Will it make financial sense to general industry? Choivo Capital Very quick reminder, cost of electricity from solar compared to coal is double. And solar fits the same profile as coal in terms of electricity generation, ie baseload. Kengor anyone had experience of attending AGM? if I'm not using nominee account, I can just go there and attend? Jshong89 If you are direct account, bring your IC will do. Ken Tang btw, qr coming this month, could be a good catalyst to the share price. Kengor well, just small growth in profit yoy. 镠公公 Great result. Short term tp RM2!!! Kengor unlikely the price will move because of this qr. Ken Tang anyone attend the agm? Patrick13 The Board of Directors of Cypark Resources Berhad ("the Company" or "CRB") wishes to announce that the Company had on 12 April 2018 received a Letter of Acceptance of Tender dated 8 April 2019 from Pasir Gudang Specialist Hospital Sdn. Bhd. (a member of KPJ Healthcare Berhad Group) ("KPJ Pasir Gudang") for the Upgrading Works of Mechanical System (Chiller System), Electrical (Genset) and Medical Gas to be rendered at the specific location of Lot Ptd 198635, Jalan Persiaran Dahlia 2, Taman Bukit Dahlia, 81700 Pasir Gudang, Johor Darul Takzim for KPJ Pasir Gudang ("the Works"). The total contract value is RM4,714,014.00 (Ringgit Malaysia: Four Million Seven Hundred Fourteen Thousand Fourteen only). The Works have been divided into two Sections. For Section One, it is expected to be completed on 22 January 2020, which is 9 months from the date of site possession on 22 April 2019. Meanwhile, for Section Two, it is expected to be completed on 22 October 2019, which is 6 months from the date of site possession on 22 April 2019. The Works will be carried out by CRB's Construction & Engineering Division. The Directors of CRB are of the opinion that the Works are in the best interest of CRB and the Works are expected to contribute positively to the earnings and net assets of CRB. None of the Directors or Major Shareholders of CRB and persons connected with them has any interest, direct or indirect, in the Works. Karlos This company have been making accounting profits but unfortunately the cash flow from operations has been increasingly more negative. The cash flow from investment too is negative as the company continue to invest in new projects. This may remind us of Hyflux in Singapore which showing similar characteristics both in business model and cash flows. What more with its majority shareholder and chairman was disposing large personal stake very recently. May be he knows something coming?